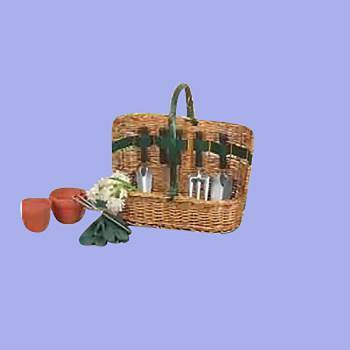 Garden Storage Basket. A six piece garden tool set in a willow basket with all wooden handles. Handy and attractive it makes the perfect gift for any gardener. The basket measures 19" high and 18 1/2" wide.